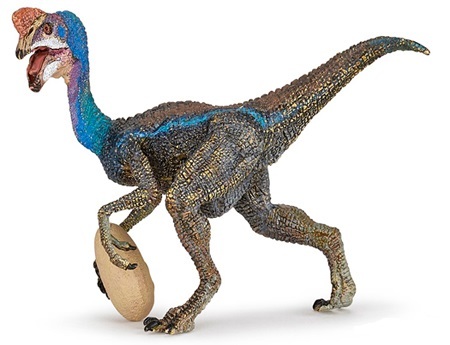 New Paint for 2017- Living up to its name of “egg thief”, Papo’s Oviraptor actually has an egg in its grasp (looking a little like Brett Favre dropping back for a pass). Of course, we know that he wasn’t really an egg thief, SHE was a watchful mom. Beautifully detailed, like all of Papo’s dinos, it features the earthtones that Papo uses with all of its replicas. Tags: collectibles, oviraptor, figure, Model, Papo.